The subject of sanctification is one which many, I fear, dislike exceedingly. Some even turn from it with scorn and disdain. The very last thing they would like is to be a "saint" or a "sanctified" man. Yet the subject does not deserve to be treated in this way. It is not an enemy, but a friend. It is a subject of the utmost importance to our souls. If the Bible is true, it is certain that unless we are "sanctified," we shall not be saved. There are three things which, according to the Bible, are absolutely necessary to the salvation of every man and woman in Christendom. These three are justification, regeneration and sanctification. All three meet in every child of God: he is both born again and justified and sanctified. He who lacks any one of these three things is not a true Christian in the sight of God and, dying in that condition, will not be found in heaven and glorified in the last day. It is a subject which is peculiarly seasonable in the present day. Strange doctrines have risen up of late upon the whole subject of sanctification. Some appear to confound it with justification. Others fritter it away to nothing, under the presence of zeal for free grace, and practically neglect it altogether. Others are so much afraid of "works" being made a part of justification that they can hardly find any place at all for "works" in their religion. Others set up a wrong standard of sanctification before their eyes and, failing to attain it, waste their lives in repeated secessions from church to church, chapel to chapel and sect to sect, in the vain hope that they will find what they want. In a day like this, a calm examination of the subject, as a great leading doctrine of the gospel, may be of great use to our souls. 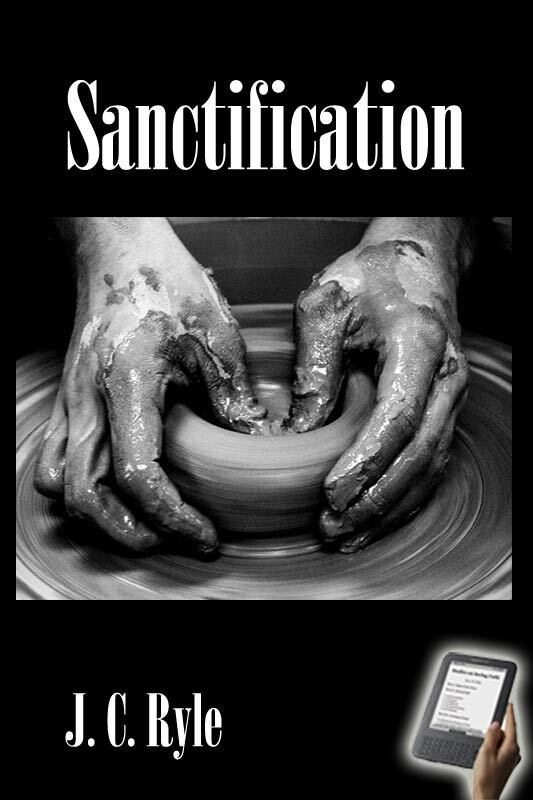 Now let us consider the true nature of sanctification, its visible marks, and how it is compared to and contrasted with justification. If, unhappily, the reader is one of those who cares for nothing but this world, and makes no profession of religion, I cannot expect him to take much interest in what I am writing. You will probably think it an affair of "words and names" and nice questions, about which it matters nothing what you hold and believe. But if you are a thoughtful, reasonable, sensible Christian, I venture to say that you will find it worthwhile to have some clear ideas about sanctification.